Anon. If You Ever Go to Ireland. 1940. 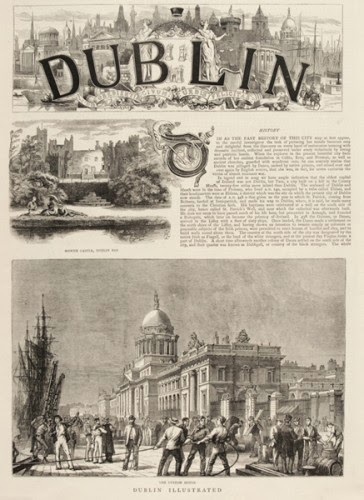 Today at Henry Sotheran we are celebrating all things Irish with our eclectic array of Irish themed prints - ranging from whiskey adverts to antique maps. 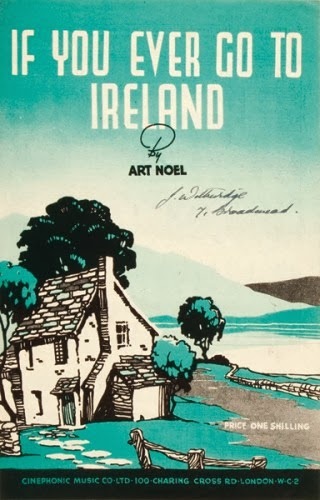 We have a wide collection of antique prints available here in the Print Department, and alongside our more traditional works we also have an interesting collection of vintage music sheet covers similar to the one pictured here. Or if you prefer something less 'vintage' and more 'antique' then take a look at our prints from The Graphic, c.1800. 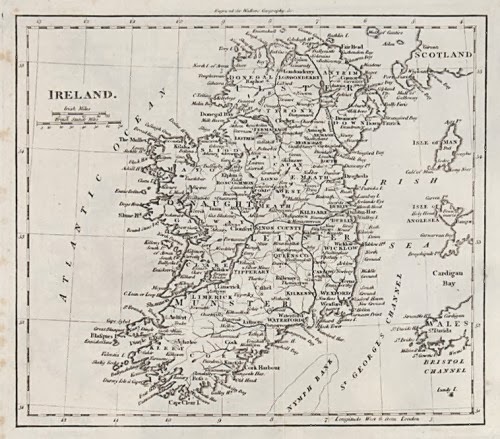 We also have a wonderful collection of antique maps, such as this map of Ireland from 1750, pictured below. 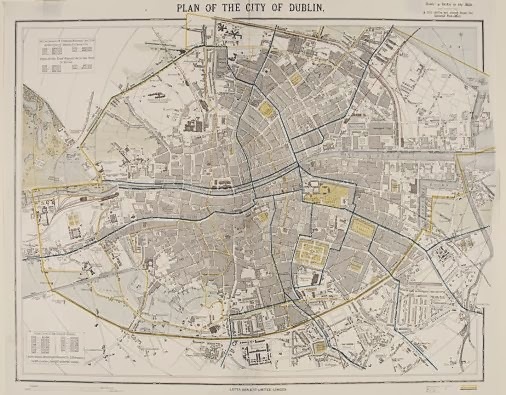 Or this detailed city map of Dublin, as published by Letts, Son & Co Ltd., London, 1882. Anon. 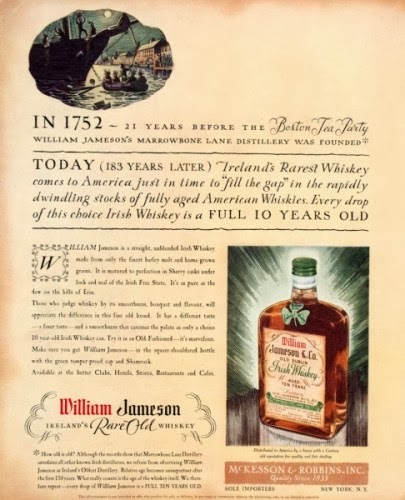 William Jameson Ireland's Rare Old Whiskey, c.1935. This original vintage magazine advertisement c.1935 is a fun example from our collection of original adverts - all showing typical styles and typography of their eras. Luggage Label. Hotel Imperial Cork. Other unusual items in the Print Department include a colourful collection of hotel luggage labels dating from the early 20th century. 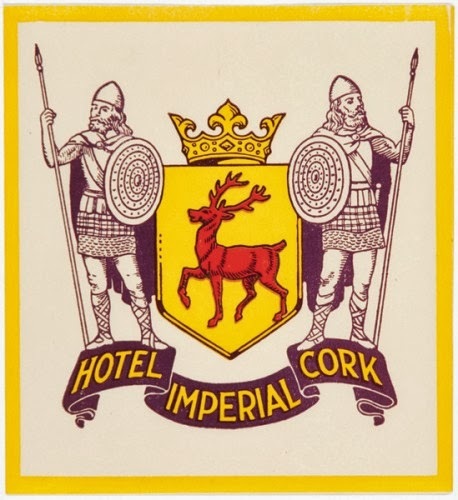 The rather grand label pictured here is a 1940s luggage label from the Hotel Imperial, Cork. 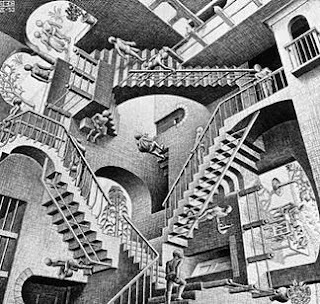 If you like what you've seen here then it's worth popping into the shop to view the full collection of unique and original prints, books, maps, posters and more! We regularly update our website and Pinterest with new stock so it's worth checking back regularly as there is always something new to see.